Oliver Queen and John Diggle have escaped from the lair of Brother Blood. But the fight is just beginning. A vengeful Huntress is waiting for Ollie as he emerges from the sewers... and she's not alone! Other people - loved ones he's failed - are there to confront Oliver, including his dead parents and best friend, Tommy! The secret "twist ending" of this issue isn't much of a surprise. Dedicated Arrow-Heads will guess almost immediately what's going on. 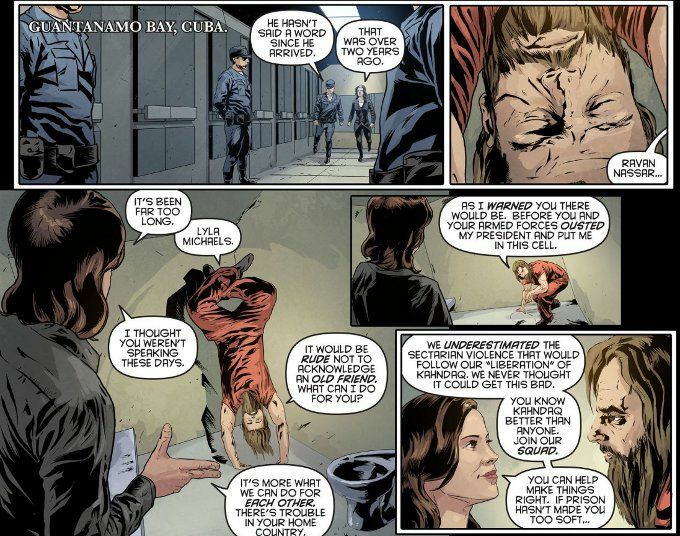 Despite this, Arrow: Season 2.5 #7 is an enjoyable read as writer Marc Guggenheim takes advantage of the gimmick to give us some insight into how the usually close-lipped Ollie views his mistakes. 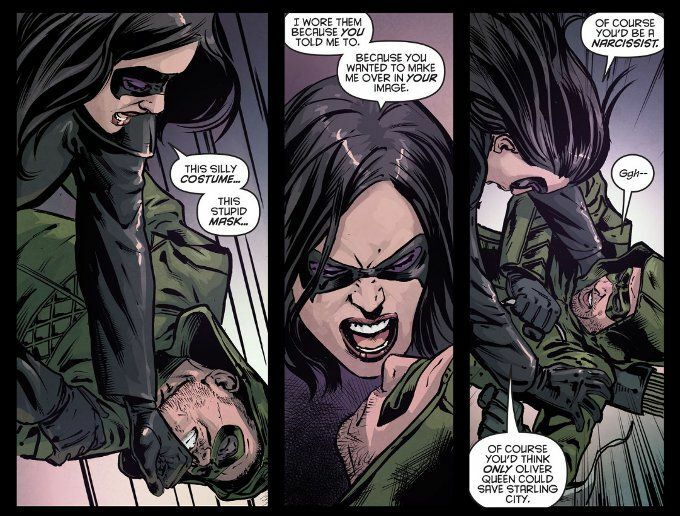 Amusingly, some of his complaints mirror those of comic fans regarding how the character of Helena Bertinelli was treated when being adapted for the show or how Ollie reacted to Slade Wilson's killing of his mother. An all-star team of artists worked on this story, giving the whole affair a disjointed feeling as the art shifts along with the visions tormenting Ollie. For once, this lack of visual continuity works to the story's benefit. As usual, the Suicide Squad back-up story by Keto Shimizu and Szymon Kudranski is as enjoyable as the Arrow one. Indeed, it is so enjoyable I wish it was its own comic! Getting one page every two weeks is a maddening way to tell a story and I'd love to see this as a longer feature.